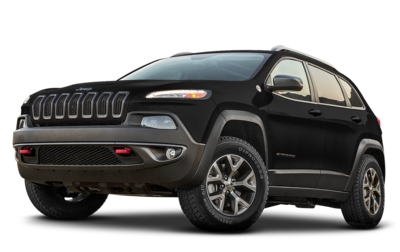 Coming in at number 10 in our list of Best Under $15,000 Crossovers is the 2016 Jeep Cherokee. 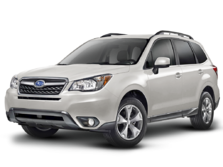 Current inventory meeting this criteria averages 27,324 miles. The 2016 Cherokee achieves a combined MPG figure of 24. Scroll down to see what inventory is available in your area - hurry, before these great deals sell out! Slotting in at ninth for Best Under $15,000 Crossovers is the 2010 Honda CR-V. Current inventory meeting this criteria averages 92,063 miles. Fuel economy is rated at 24 MPG combined. Scroll down to see what's available in your area right now. 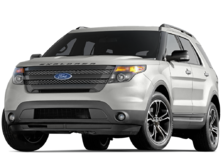 Ranking eigth for Best Under $15,000 Crossovers is the 2013 Ford Escape. 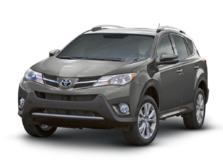 Current inventory meeting this criteria averages 67,200 miles. The 2013 Escape achieves a combined MPG figure of 25. Scroll down to see what's available in your area right now. Ranking seventh for Best Under $15,000 Crossovers is the 2013 Nissan Rogue. Current inventory meeting this criteria averages 58,881 miles. The 2013 Rogue achieves a combined MPG figure of 25. Scroll down to see available inventory for 2013 Rogues in your area. Slotting in at sixth for Best Under $15,000 Crossovers is the 2014 Mitsubishi Outlander Sport. Current inventory meeting this criteria averages 42,495 miles. The 2014 Outlander Sport achieves a combined MPG figure of 26. Scroll down to see available inventory for 2014 Outlander Sports in your area. Coming in at number 5 in our list of Best Under $15,000 Crossovers is the 2014 Nissan JUKE. Current inventory meeting this criteria averages 37,435 miles. Fuel economy is rated at 28 MPG combined. Scroll down to see available inventory for 2014 JUKEs in your area. Ranking fourth for Best Under $15,000 Crossovers is the 2014 MINI Cooper Countryman. Current inventory meeting this criteria averages 34,150 miles. Fuel economy is rated at 28 MPG combined. Scroll down to see what's available in your area right now. The 2016 Mazda CX-5 ranks third for Best Under $15,000 Crossovers. Current inventory meeting this criteria averages 22,449 miles. The 2016 CX-5 achieves a combined MPG figure of 28. Scroll down to see what inventory is available in your area - hurry, before these great deals sell out! Ranking second for Best Under $15,000 Crossovers is the 2017 Chevrolet Trax. Current inventory meeting this criteria averages 14,839 miles. Fuel economy is rated at 28 MPG combined. Scroll down to see what inventory is available in your area - hurry, before these great deals sell out! Coming in at number 1 in our list of Best Under $15,000 Crossovers is the 2016 Buick Encore. Current inventory meeting this criteria averages 12,744 miles. The 2016 Encore achieves a combined MPG figure of 30. Scroll down to see what's available in your area right now.